How have I not told you about this book already?! 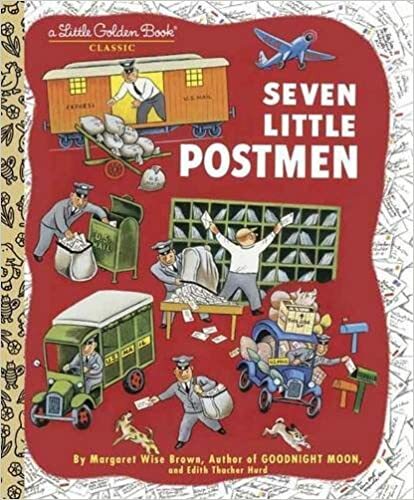 Seven Little Postmen is the story of a little boy who mails a letter to grandma. What happens to the letter along the way? You’ll need to get it to see what happens. I had never heard of this book until my own kids were grown and I had grandkids. In fact, I happened across a copy in a bookstore soon after my husband started working at the post office. I bought that copy then, and I’ve purchased several more for other grands since then. A cute story with wonderful illustrations; I’ve often wondered why the post office doesn’t market this book and sell in local post offices since they sell other merchandise… they’re missing a marketing idea!